Our company is presenting a quality approved array of High Strengh Friction Grip Nut. These are recommended amongst the clients for its sturdiness. These nuts are made from best quality material under our expert supervision. 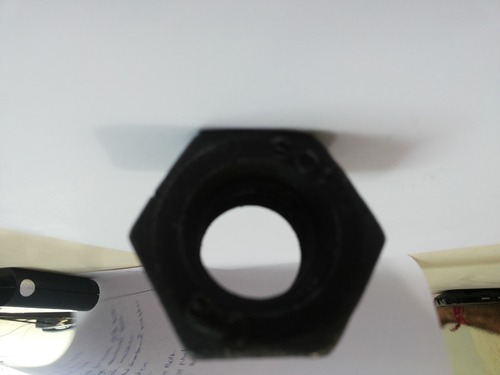 Beside this, these nuts are highly durable. Dadu Precision Fasteners (P) Ltd. incorporated in 2004, a private limited company promoted by Mr. M.C. Khandelwal after having wide experience of over 50 years in the trade of industrial fasteners since 1954, in view growing demand for high quality industrial nuts, bolts, washers and other allied products. Catering to the extensive demand of these products our company has emerged as an eminent manufacturer and supplier of a wide gamut of supreme quality Industrial Fasteners covers an extensive range of Mild steel High Tensile Stainless Steel Bolts, Nuts, Washers, Rivet, Foundation Bolts, Ball Pins, Cold and Hot Forged Component as per standard specifications and as per customers requirements / drawings. We are having facility of bar drawing and wire drawing. In view of critical application of products, we, at DPFPL ensures strict quality checks right from procurement of raw material to dispatch of finished goods to customers during which it passes through stringent quality tests and continuous supervision by patrolling inspectors.